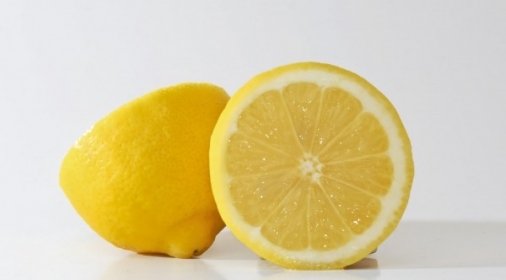 If your mind is set on cleaning your oven yourself, and you have the time to do it but don’t want to use any harsh chemicals, which many of the DIY products are made up of, we may just have the answer for the best homemade oven cleaner! 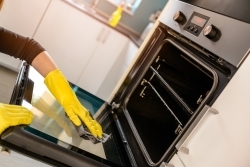 Cleaning your oven with two household ingredients – baking soda and vinegar can be very effective, but just be aware that your oven will be out of action overnight for the best results, and this method does still require some elbow-grease. Many people ask how much baking soda and vinegar they should use to make a cleaning solution, however, this is a common misconception. In fact, the baking soda is mixed with just enough water so as to form a spreadable paste (you will need a large enough quantity of this mix to cover all of your oven walls and removable parts) and then the vinegar is sprayed on after. We have detailed the full process below. Take out all oven racks, trays and removable parts for cleaning separately. In a bowl mix baking soda and water until you get a spreadable paste. Spread the paste over all walls of the oven, but NOT on the heating elements. Leave the oven overnight for the best results. Wipe clean with a damp cloth to remove as much of the baking soda as possible. Using a spray bottle, spray vinegar onto the walls of the oven. This will react and foam slightly when it comes into contact with any remaining baking soda, which you should then wipe off again with a damp cloth. To clean the oven racks, you can use a similar method – simply sprinkle baking soda over them and spray with vinegar. Wait for the foaming reaction and then soak in hot water for a few hours. This will loosen any grease and grime which can then be scrubbed off more easily. 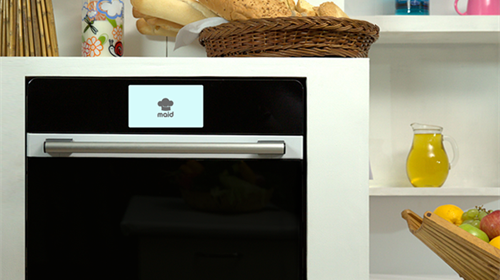 Replace all oven racks in your sparkling clean oven and sit back with a much-deserved cuppa and a cake! 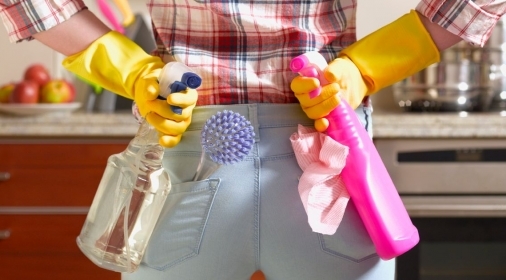 As well as baking soda and vinegar, there are various other options we’ve discussed in our blog, the best off-the-shelf oven cleaners of the year which might be of interest to you if you are keen to do it yourself. But, if the thought of cleaning your oven fills you with dread, let alone finding the time and/or energy to complete Britain’s most-hated chore, why not give us a call? Our friendly, fully trained professionals will be able to arrange a time convenient to you to come and give your oven a proper deep clean, following our 10-step oven cleaning process, – leaving it ‘as-good-as-new’, in just a few hours! And more importantly, saving you any fuss, mess or bother! Our customers rate us 5* and are invariably delighted by the results we can achieve, so go on – treat yourself and your oven to a professional clean!